Just like hide & seek takes two players, so do our new, fun and unique dog and cat interactive training puzzles. 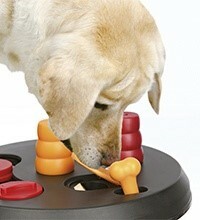 The Trixie puzzles are a great opportunity for you to bond with your dog and cat while teaching them new skills. These are not toys to leave alone with your pet, each puzzles comes with a booklet of helpful training tips for you and your pet to figure out together. Check out the video of pets in action. Mental exercise is important for good health! In July the FDA issued a public notice of a potential link between the legumes found in most grain free diets and dilated cardiomyopathy (DCM) in dogs. Currently their concern is a correlative (not causative) link. Taurine is an amino acid required for heart function. A deficiency of taurine causing heart issues has long been known in cats and you will find it supplemented in cat foods. Several of the dogs with DCM, which prompted the FDA notice, showed low levels of taurine and were eating grain free diets. It is too early in the research to know the cause and effect in these dogs. What should you do if you are feeding a grain free food? Ask yourself why you are feeding grain free, the fact is very few dogs have actual food allergies. Despite marketing efforts, your dog’s nutritional need is no more like a wolf than we are nutritionally like the great apes. 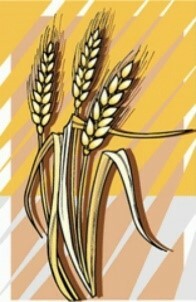 We have always carried several high quality foods with quality grains. You will also find Fromm food (grain free or whole grains) has been adding supplemental taurine for years, reinforcing their historic and ongoing commitment to your pet’s health. Come in and talk with us about changing your food if you have concerns. We will continue to monitor the findings of the research. This is the time of year we hear pet owners complaining about fleas. Do NOT stop your flea preventive until it is consistently below 40 degrees. A single flea may bite more than 350 times daily! For a sensitive or flea-allergic animal, itching caused by the bites can become severe. Fleas also transmit tapeworms. While adult fleas are wingless, they move fast, leaping up to 16 inches at a time. Add this to their small stature, and fleas become difficult to see. 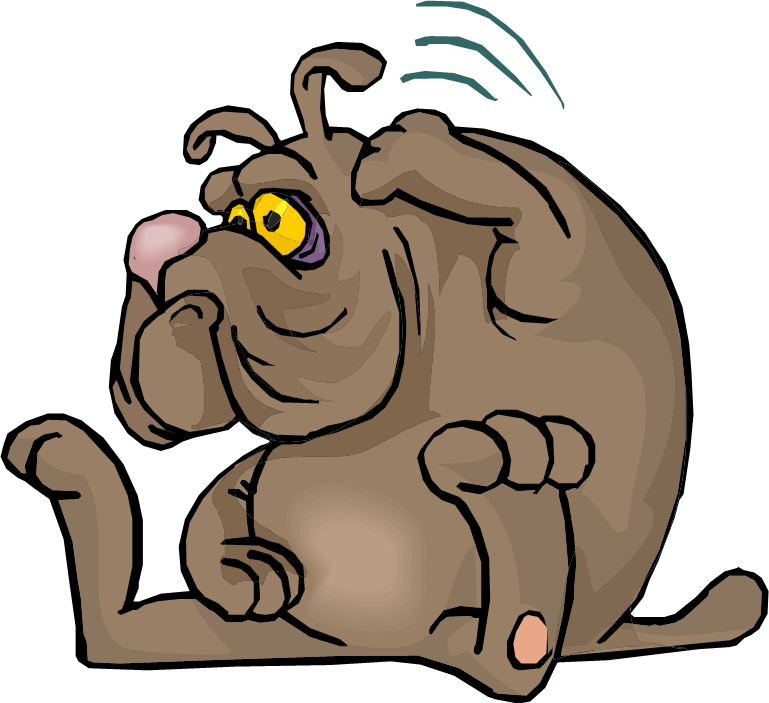 To effectively eliminate fleas from BOTH your pet and your home, you must disrupt the flea’s life cycle. Flea eggs laid in your home can take up to 2 weeks to hatch, so be consistent with preventive. We carry Wondercide, Alzoo and Advanitx, or see your friendly veterinarian for other products. 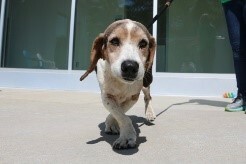 Adoptable Dog of the Month, Chief…. Chief is a handsome elder statesman of a hound. He is looking for a home with a fenced yard and someone to take him for a nice stroll. Chief is available through the Iowa City Adoption Center. Call (319) 356-5295 or visit www.icanimalcenter.org to learn more about all the animals at the Center.